Ambroise Degenève…his amazing work says it all. Mon dieu and je l’adore! If you like to keep up with his latest pieces you can follow him on Instagram here. 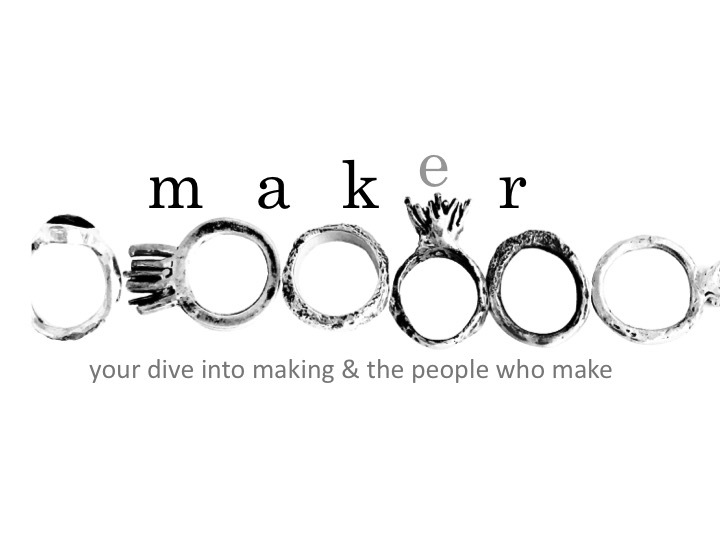 Exploring the world of makers on this blog often leaves me feeling unskilled in my own work. That can be a good thing though because it leads me to ask…how do these makers dooooo that? And Kayo Saito is someone I’d love to ask because she knows a lot about metalsmithing. She studied Craft Design and Metal Work at the College of Musashino Art University in Tokyo and later obtained First Class Honours, Bachelor of Art, Silversmithing, Jewellery and Allied Crafts at London Guildhall at the University in London. And if that wasn’t enough she also obtained her Master of Art, Goldsmithing, Silversmithing, Metalsmithing and Jewellery at the Royal College of Art in London. Phew!